Celebrate USA Independence Day on Tuesday, July 4, 2018, with fun festivities right here in Solvang! 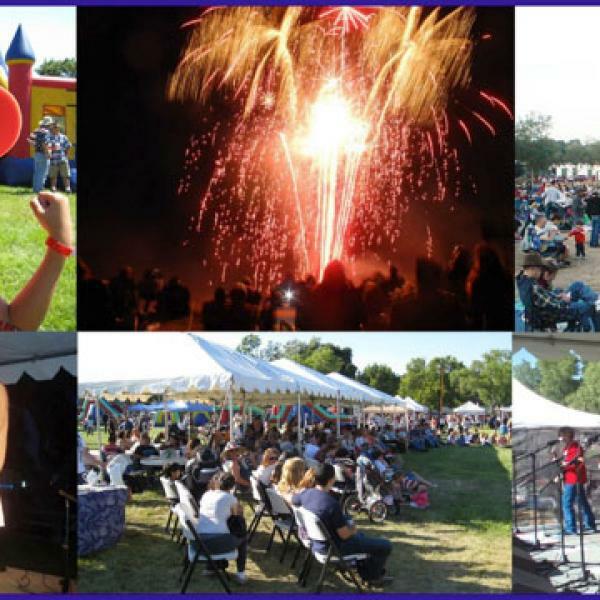 Fourth of July Festivities Include Parade, BBQ, 3 Free Concerts, Festival and Fireworks Show! Fun for the whole family! You don’t want to miss anything! At 10:00 a.m. enjoy a Free Concert by Santa Ynez Valley Wind Ensemble at Solvang Park (Mission Drive & First Street). 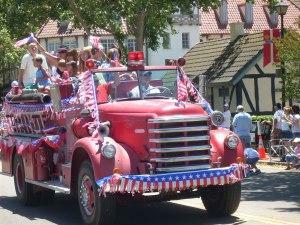 Then, it’s the traditional parade at 11:00 a.m. presented by the Solvang Rotary Club that rolls along Mission Drive (Route 246); turns south on Fourth Place, then east along Copenhagen Drive and back to the starting point at Old Mission Santa Ines (1760 Mission Drive). This year’s parade theme is “Our Exceptional Country.” 2018 Parade Grand Marshals are Solvang residents Creighton “Jim” and Phyllis Axtell, who celebrated 75 years of marriage in May 2018. Jim is a 99-year-young US Air Force veteran and retired engineer with Lockheed Martin; and Phyllis is retired technical writer and educator who was principal at Ballard School. 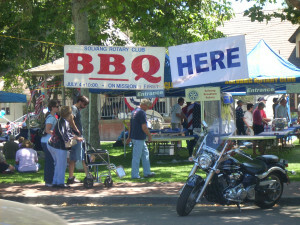 From Noon- 2:00 p.m. enjoy the BBQ and Free Concert by the T-Bone Ramblers at Solvang Park sponsored by Solvang Rotary Club featuring hot dogs, hamburgers, linguiça and all the fixings. 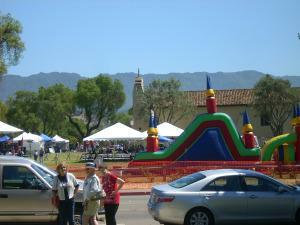 At 2:00 p.m., gates open at Old Mission Santa Ines for the 24th Annual Solvang Independence Day Festival & Fireworks Show sponsored by Rotary Club of the Santa Ynez Valley . Admission is only $10.00 per adult; and FREE for children ages 7 and under, as well as FREE for active duty military and their immediate family members with ID. Tickets can be purchased in advance at Solvang Friendship House or at the gate on July 4th. The Solvang Independence Day Festival will feature food booths, wine & beer garden, kids’ activities including bounce castle, face-painting and plenty of time to kick-back & relax. All proceeds benefit local charities. 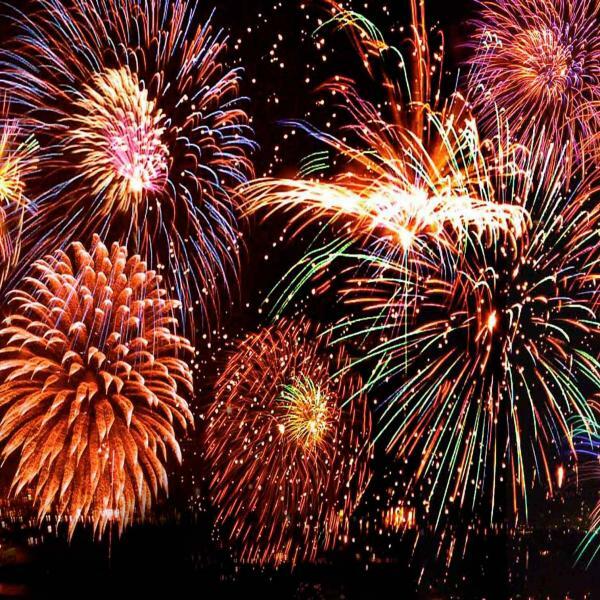 Don’t miss the live entertainment on the outdoor stage starting at 5:00 p.m. Then at 9:00 p.m.—it’s what we all want to see—an amazing 20-minute fireworks show! Remember, there is free parking in public lots and businesses throughout Solvang year-round. The Solvang Visitors Center is open daily from 9:00 a.m.-5:00 p.m. at 1630 Copenhagen Drive offering free maps, guides, savings coupons and plenty of information. Happy 243rd Birthday USA!